John Gimlette was born in 1963. At seventeen, he crossed the Soviet Union by train and has since travelled to over 60 countries. In 1982, on the eve of the Falklands War, he was working on an estancia in Argentina. He returned to England via Paraguay and Bolivia to read law at Cambridge. In 1997, he won the Shiva Naipaul Memorial Prize with ‘Pink Pigs in Paraguay’, which was published in The Spectator in May of that year. The following year he won the Wanderlust Travel Writing competition. He is a regular contributor to a number of British broadsheets, including The Daily Telegraph, Times and The Guardian travel sections. 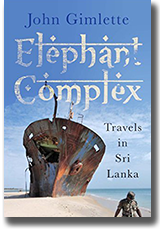 He also contributes to other travel titles, including the Conde Nast Traveller and Wanderlust. His travel photographs have appeared in the Telegraph, Wanderlust and Geographical. 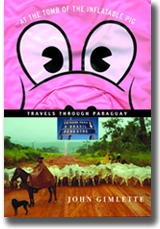 His first book was At the Tomb of the Inflatable Pig, which is described as a 'vivid, riotous journey into the heart of South America' (see the Reviews page). 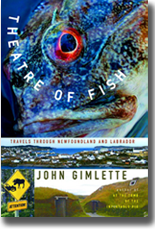 His second book, Theatre of Fish, set in Newfoundland and Labrador, was published in 2005. Both books were nominated by The New York Times as being among the ‘100 Notable Books of the Year’. John Gimlette’s third book was Panther Soup, which followed a wartime journey through France, Germany and Austria, comparing the battlefields of 1944-45 with what can be found there today. 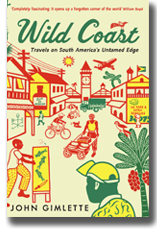 His most recent book is ‘Wild Coast’, which describes a journey through Guyana (formerly British Guiana), Suriname (formerly Dutch Guiana) and French Guiana (or Guyane Française). Along the way, John Gimlette visits Jonestown (scene of the mass murder/suicide of November 1978), and meets Amerindians, gold-washers, hoods, chancers, seers, ranchers, the descendants of runaway slaves (or maroons), and the survivors of a brutal civil war. The publication date is February 2011. He lives in London where he practices as a barrister. He specialises in clinical negligence and personal injury, and has an interest in publicly-funded costs issues. His appearances in the Court of Appeal include K v K (costs in children’s cases), Steele v Mooney (correcting errors of procedure), Burridge v Stafford, CA (the scope of the legal aid certificate), Fenech v East London & City HA, CA ('date of knowledge' in clinical negligence claims). He is married to TV presenter, Jayne Constantinis, and they have one daughter, Lucy. "Gimlette is laugh-out-loud funny. His nature is to be thrilled, not put off, by the unruly and the odd." Elizabeth Royte, The New York Times.